Betsafe – Jumanji™ Extra Rewards! Earn Bonus and BIG Spins! Play for up to 250 Bonus / BIG Bonus Spins! 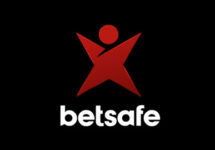 This superb offer at Betsafe to earn Bonus and BIG spins for wagering on any slot in the casinos is exclusive for our readers from Finland, Norway and Sweden. Some generous rewards are waiting to be claimed who completes defined amount of wagering on the Game of the Week, Jumanji™ by Netent. Play throughout the week on desktop or mobile to earn up to 250 Bonus / BIG Bonus Spins. Bonus Spins and BIG Bonus Spuns are Free Spins on selected slots that are added on deposit or given as a special reward or prize from a tournament. Generally, the winnings from the Bonus Spins need to be wagered a defined amount of times on casino games before a withdrawal can be submitted. Exclusive for players from Finland, Norway and Sweden. We are heading into a last episode of this fabulous campaign at Betsafe which is been running weekly from Monday to Sunday since April 2018. Courtesy of the “Game of the Week”, players can look forward to earn extra rewards of up to 250 weekly Bonus /BIG Bonus Spins. Players can collect a total of 250 Bonus and BIG Bonus Spins on the Game of the Week during one promotional week. The required wagering is accumulated during the active week. Once the stage requirements are met, the awarded Bonus Spins can be claimed by opening the specified slot of the week. Wagering requirement is 35x FS winnings within three days, subject to the Betsafe bonus terms and conditions. Launched in 2006, the casino is operated by BML Group Ltd. under MGA and UK licenses. 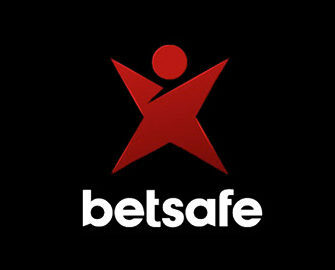 As a comprehensive gaming and betting site, Betsafe offers its players to choose from Casino, Sportsbook, In-Play, Live Betting, Live Casino, Poker and Virtual Sports. The Casino section has a vast array of games from Netent, 1×2 Gaming, 2BY2 Gaming, Big Time Gaming, Blueprint Gaming, Core Gaming, Fantasma, Foxium, Fuga Gaming, Game360, Games Lab, Games Warehouse, Geco Gaming (GameArt, Wager Mill), IGT, Inspired Gaming, iSoftbet, Iron Dog Studios, JustForTheWin, Leander Games, Lightning Box, MetaGU, Microgaming, NextGen Gaming, NYX Interactive, Old Skool Studios, Ongame, Pariplay, Play’n Go, Pragmatic Play, Push Gaming, Quickfire, Quickspin, Rabcat, Realistic Games, Red Tiger, Scientific Games (Bally, Barcrest, Red 7 and WMS), Side City Studios, Sigma Gaming, Skillz Gaming, Stakelogic, Thunderkick and Yggdrasil. The Live Casino tables are powered by Evolution Gaming, Extreme Life Gaming and Netent Live.